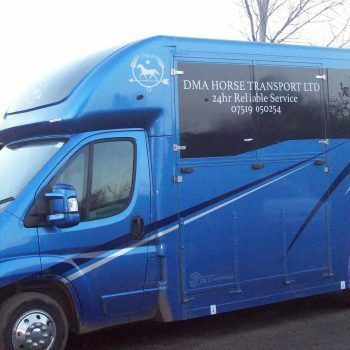 Based near Rugby, Warwickshire DMA horse transport is second to non, I have been using DMA since we got our pony 2 years ago. David has taken us to shows, lessons, yard moves even our christmas eve secret pony move to surprise my daughter on christmas day! We really did rock the christmas hats and jumpers! David offers help throughout the day tacking up, holding the pony, filming etc! David has a very calm manner, there is no rushing more like gentle persuasion to load those unsure horses. When my naughty pony had decided suddenly he wouldn’t load on the horse box David took the time to load him on and off again making him feel relaxed and happy to load again. I have recommended DMA to everyone I know requiring transport, I personally trust that the horses and ponies on board are receiving the best care on and off the horse box. An onboard camera makes sure travelling horses are kept an eye on. If you need transport to the vet, show, day trips, horse sale pick up or drop off, yard moves give David aka Bodge a call! !